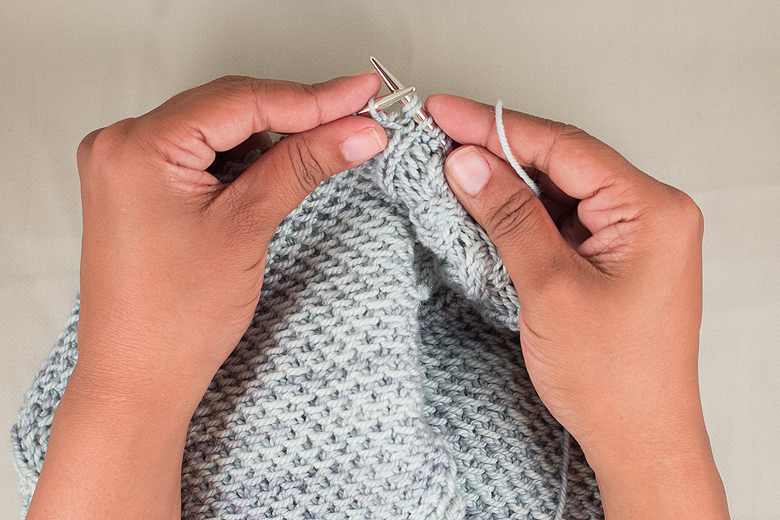 One more quickie tutorial to highlight a stitch variation that I use in my Sencilla Cowl Pattern. This is a modified version of the KFB (Knit front and back) increase. 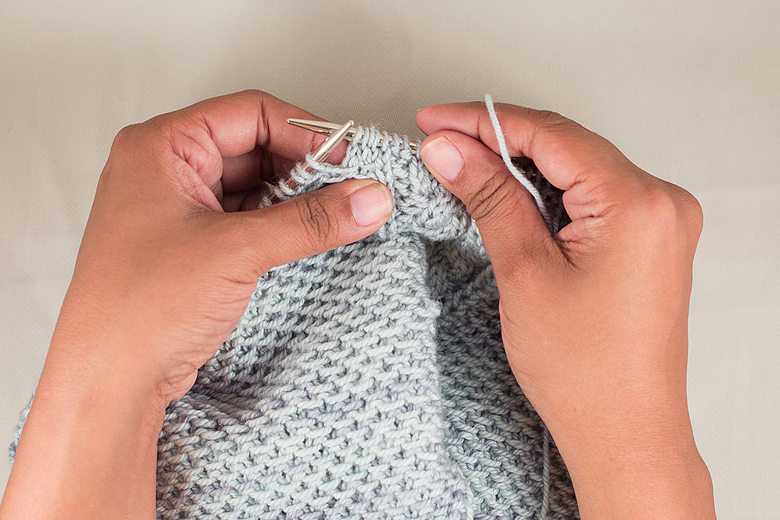 The regular KFB involves knitting the same stitch twice, once through the front leg and once through the back leg. 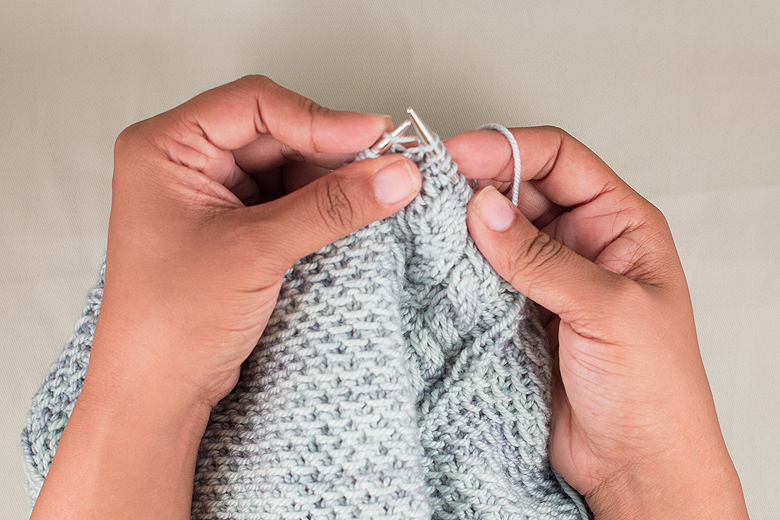 This works great, but it leaves a little purl bump on the second stitch that can really detract from a pattern that relies on clean lines and fine detail to work! Here is the slight (and super easy!) modification. 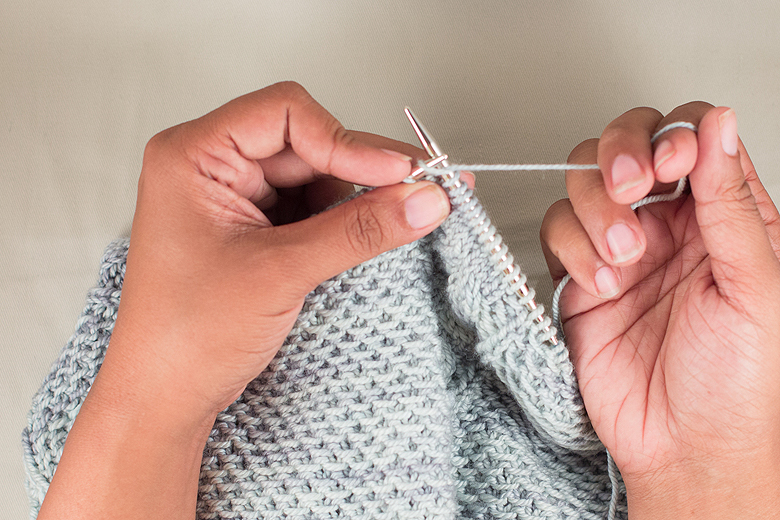 but don’t slide that stitch off the needle. 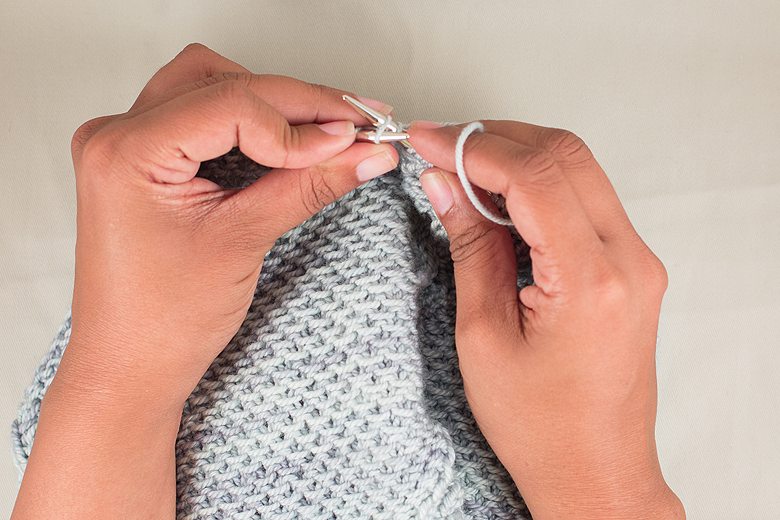 but instead of knitting it, simply slide it off onto the right hand needle. Voila! 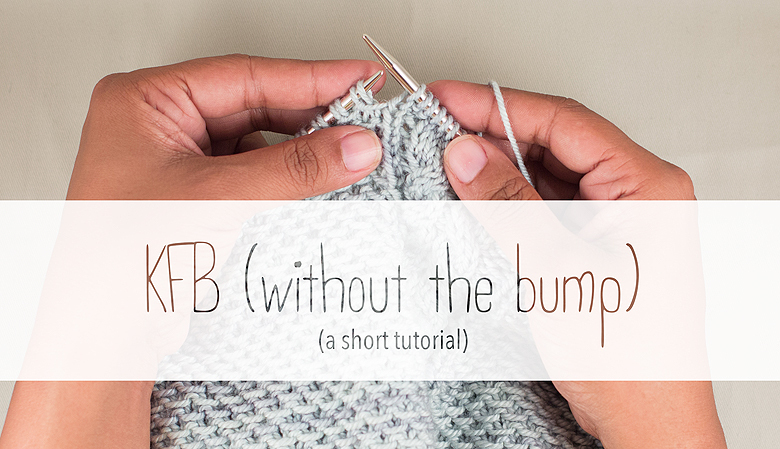 Increased by one stitch without the purl bump! Love this method! Thanks for sharing it. Wow, what a brilliant idea! Will have to remember this in future!